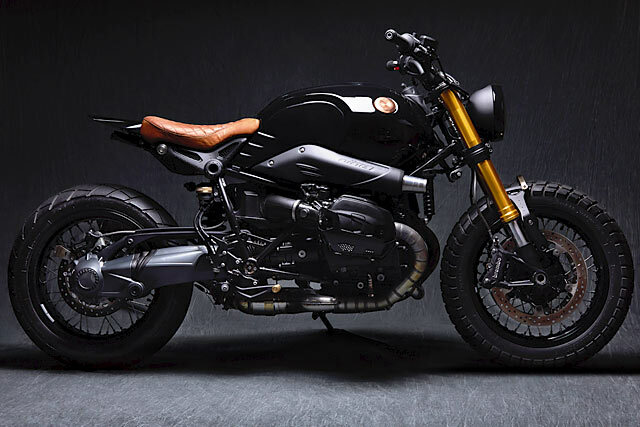 It seems that BMW’s R nineT has become the modern equivalent of Yamaha’s SR500 in its never-ending ability to look good customised. 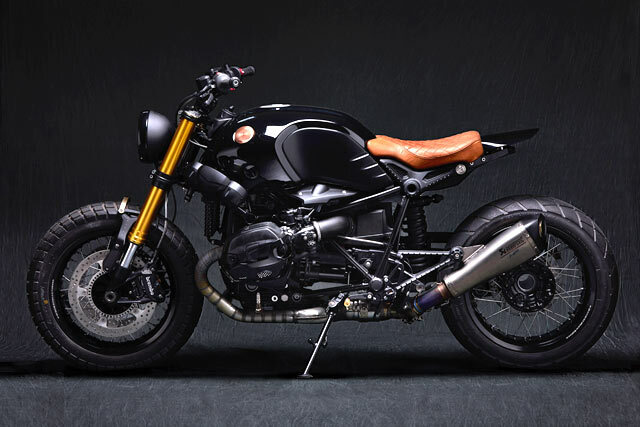 Whether it be a cafe racer, enduro, bobber, or some other beautiful creation, the boxer from Bavaria seems to have a genetic resistance to looking bad. It’s also become a rite of passage for shops looking to hit the big time; if you can take on a 9T and make a splash, it seems like your going places. And needless to say that tonight’s bike is just that. 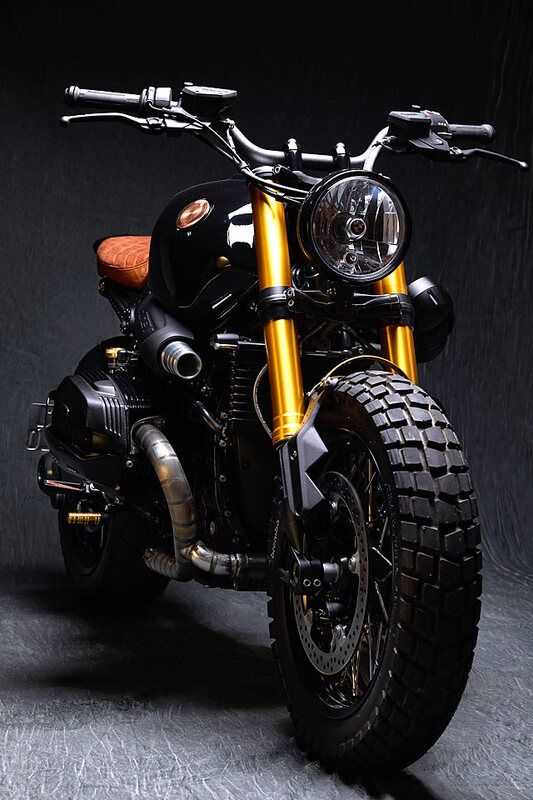 Here’s Argentina’s Vida Bandida with their new R nineT tracker they call ‘The Bandit’. The customer delivered the bike to the boys and asked them what they could do. 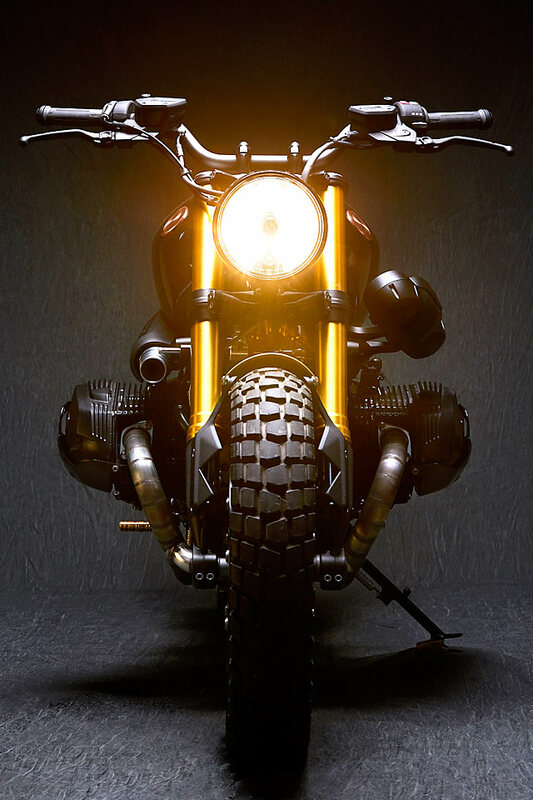 As a builder, a BMW R nineT is a big challenge on its own. Then the customer gave them only ten days to do the whole project, too. They agreed to do it, and then had to drop everything else to be able to manage it in time. “The main aim of this tracker project was to focus on the details, since it was here that our work could really shine,” says Tocho. “We are heavily into metal turning and machining, so it is this kind of work you will notice if you really look closely. 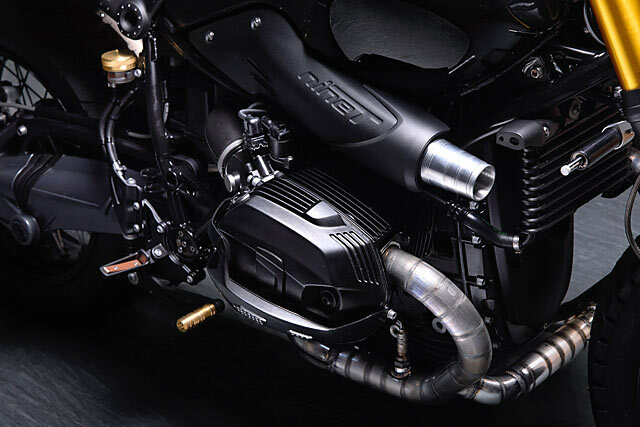 The exhaust’s support was modified to make it look like a bear trap, and the mouth of the air intake was also highlighted with a bespoke piece of turned aluminium. The cylinder covers were reworked so that they matched more closely the parallel lines of the cooling fins.” Look closely and you’ll see many more examples, too. 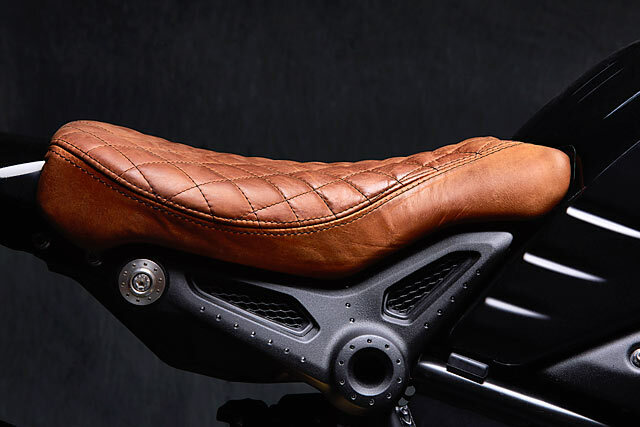 “As for the seat, we decided to make it brown and with diamond stitching. This angular motif is one you’ll see repeated many time throughout the bike, along with the concentric circles that feature in Vida Bandida’s logo.” The materials that the two use are copper, bronze and aluminium, since they liked the fact that they have their own innate colours that really add to the overall look of the bike. Without doubt, the tail of the BMW was the two’s biggest building challenge. 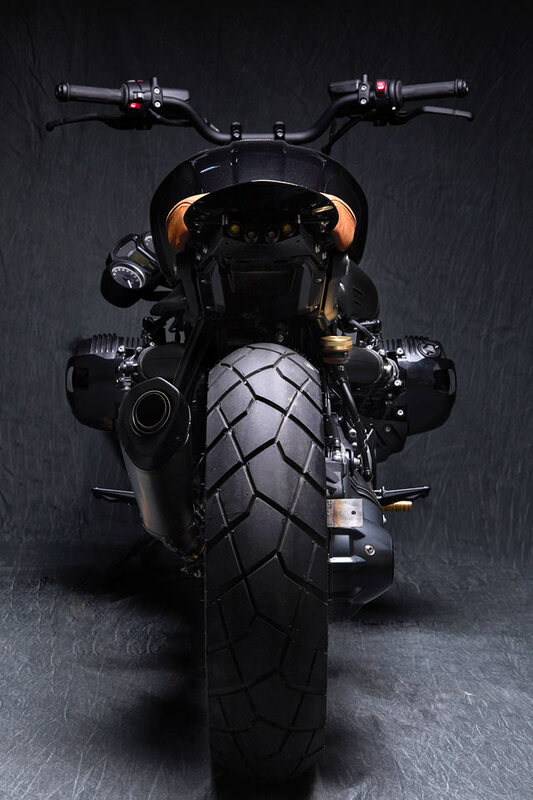 “It had to continue the line and aesthetics of the motorcycle, while giving the bike a little ‘Bandida’ all of its own. We decided to make a tail from scratch; something with two floating parts, and something that could be easily disassembled. 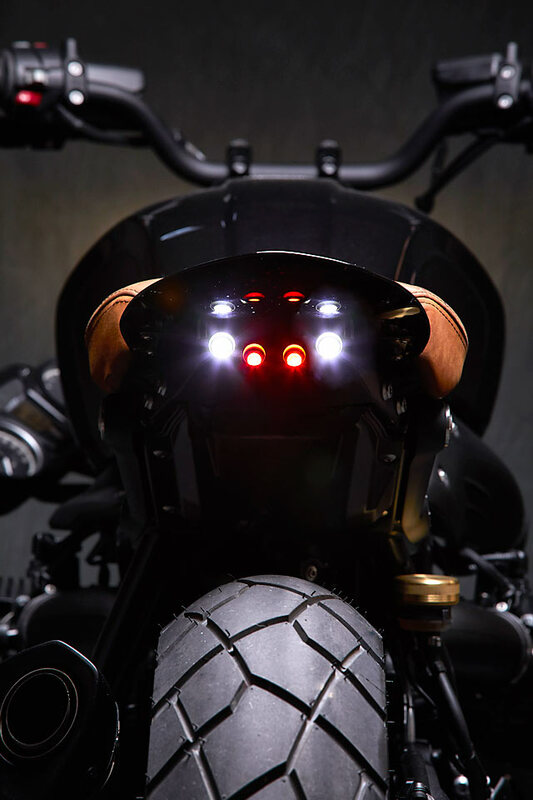 The result was what you see here; something delicate, sharp and aggressive.” Underneath they fitted a box that contains all the bike’s rear lights, neatly hidden in the darkness under the tail section. “Our favourite part of the finished tracker is probably that tail,” concludes Tocho. 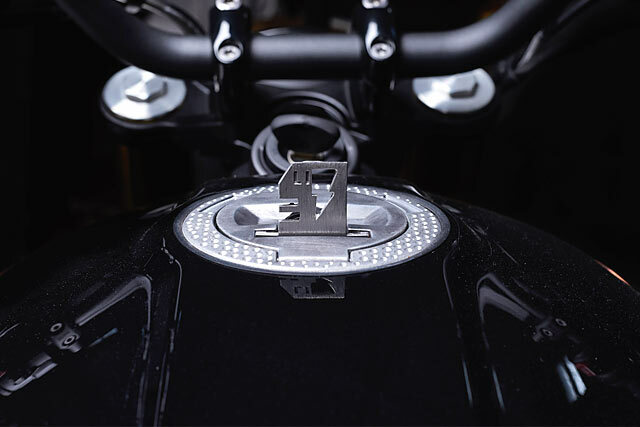 “We just happened to be following the bike at night recently and the combination of the LEDs, the metalwork and the reflections really hit us. It’s completely different to the customary way of treating tail lights, but it makes the BMW look amazing on the road.” We bet it does, too.